Please note: This is an UpStart Components Brand replacement part, NOT an OEM product. All mentions of brand names or model descriptions are made strictly to illustrate compatibility. All brand names and logos are registered trademarks of their respective owners. This product is not affiliated with any brands and is not covered under any warranties offered by the original manufacturers. Any warranties for this product are offered solely by UpStart Components. • Better control for less kickback and increased safety. Ideal for professionals working in demanding conditions. Made of durable, lightweight materials for high performance with minimum vibration. • Easily replaces damaged guide rails to extend the life of your chainsaw. Reversible bar for lasting performance. • Avoid injuries by replacing dull or damaged chains with a sharp new chain. UpStart Components Brand. 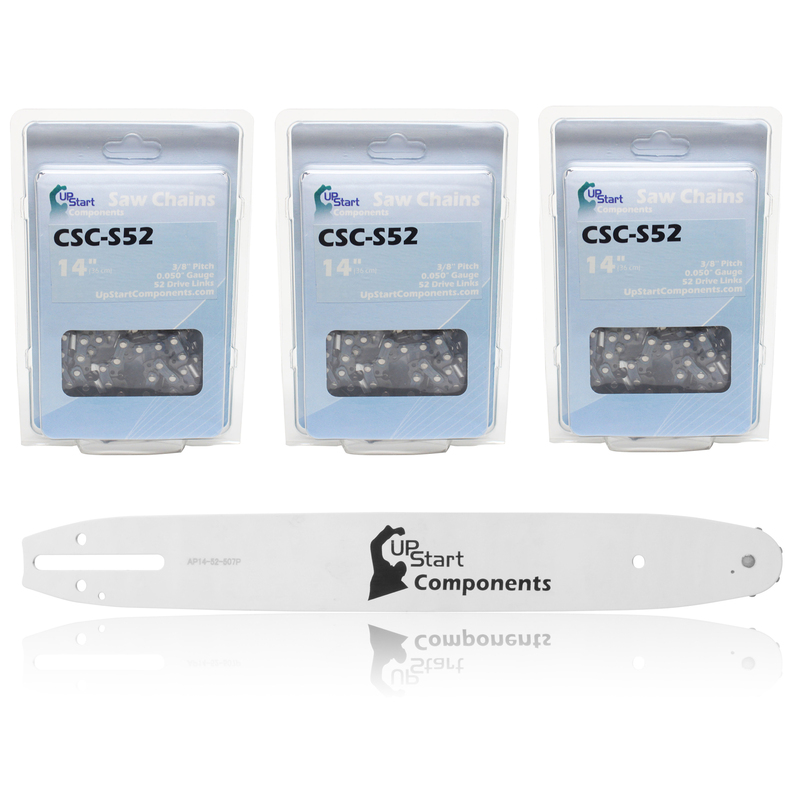 • High performance chain for smooth cuts. Engineered for precision, balance and safety for efficient cutting. Reduced vibration levels for consistent cuts and greater user comfort. Designed for durability to keep the chain sharper longer.